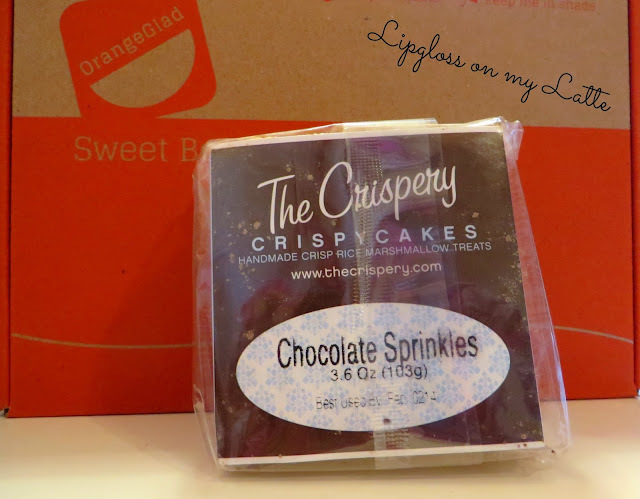 Orange Glad is a new monthly subscription box that specializes in baked goods and confections, and is only available in the US. 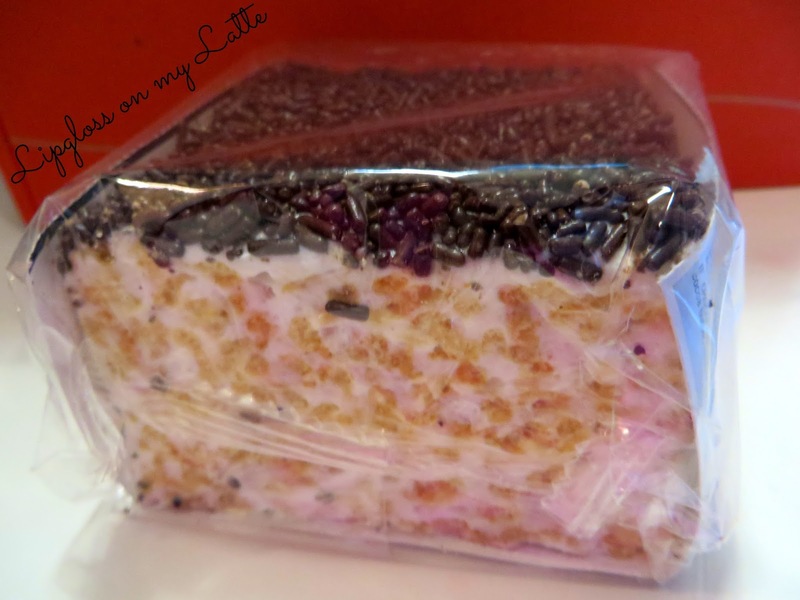 They select delicious sweet treats from various bakeries around the country. 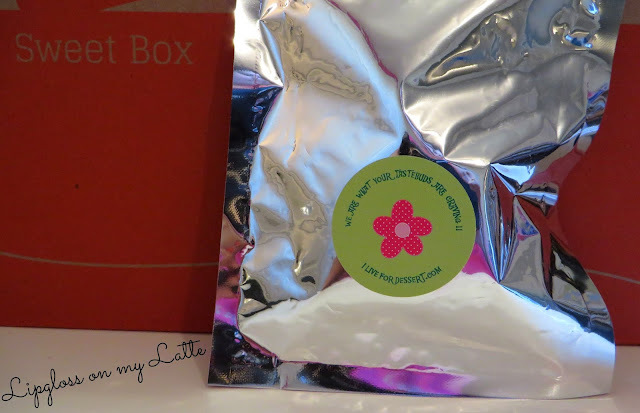 Boxes start at $15/month plus shipping. 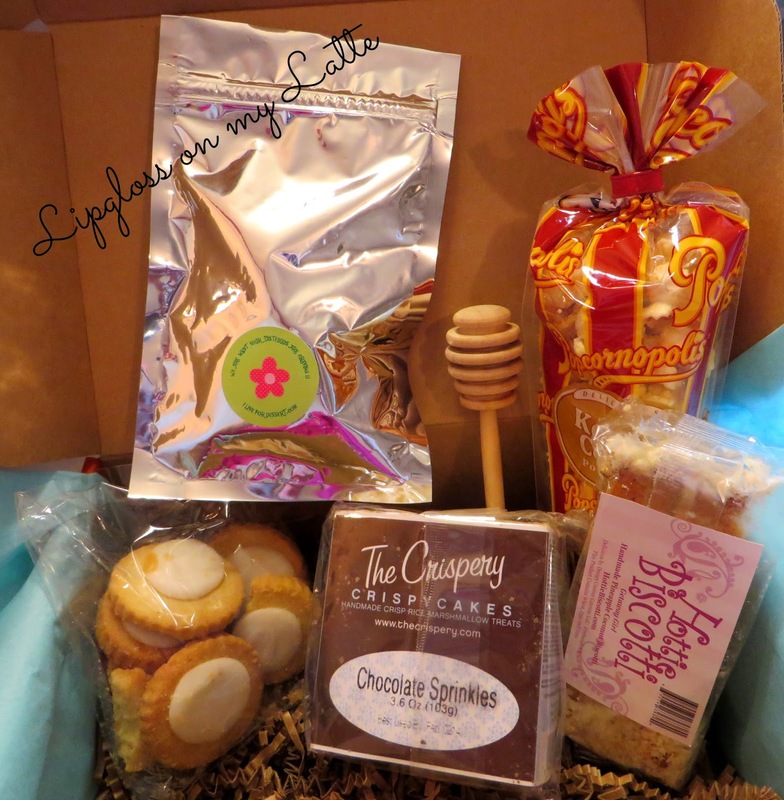 Who doesn't like a box filled of heavenly sweetness delivered right to your door every month?! OMG, I can't even tell you how yummy all of this is! Myself, husband, and daughter took a bite of every treat, and everything was so fresh and delicious! The box came with 5 treats and bonus item. 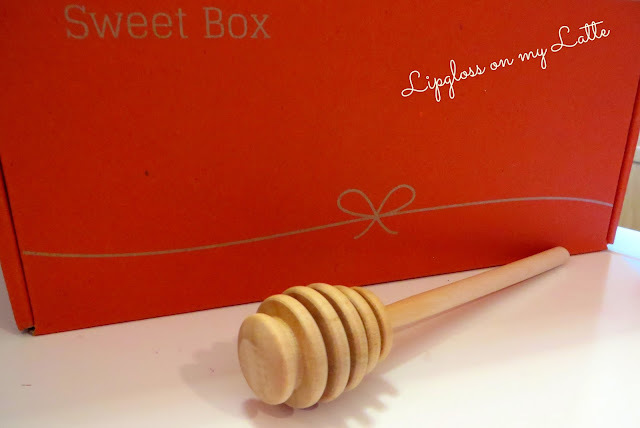 It was a cute handy, dandy honey dipper! Chocolate Sprinkles Crispycakes, "The Crispery Crispy Cakes"
Crispycake layered with marshmallow fluff then topped with lots of chocolate sprinkles! This was so fresh and tasted amazing! 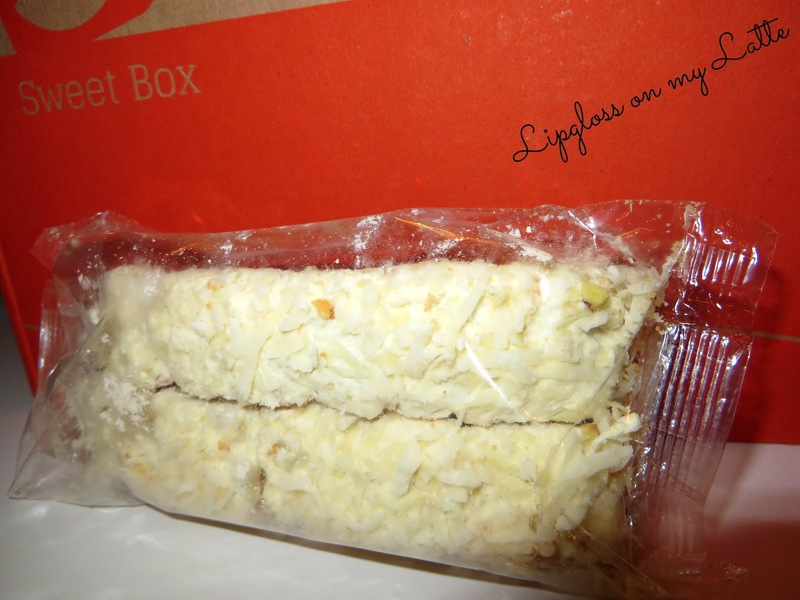 Pineapple Coconut Biscotti, "Hottie Biscotti"
The tangy pineapple cookie nestled beneath a scrumptious layer of white chocolate and flaky coconut is a vacation in every bite! This was delicious and went perfect with hot tea! Chocolate Cake Bites, "I Live for Dessert"
Made with moist chocolate cake, filled with bitter sweet chocolate chips, and cocoa, as well as being dusted with cocoa powder and chocolate mix that melt right into the bites. 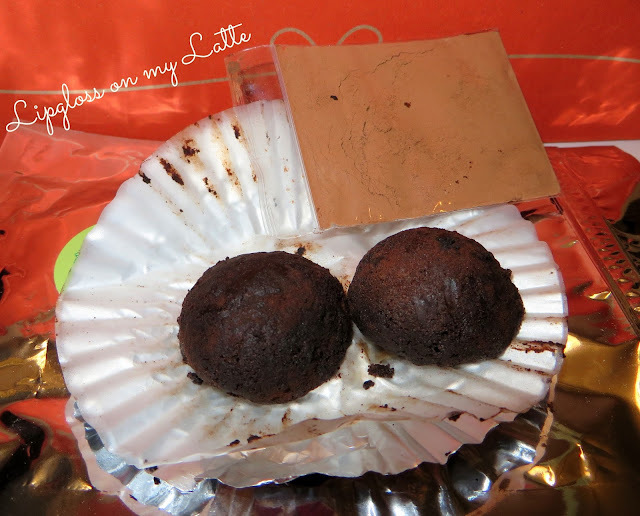 This came with a cocoa powder packet so you could dust the powder on top of the cake bites. It was rich and decadent! Popcornopolis brings that classic popcorn flavor to another level with new, exciting flavors and unique popcorn cone packaging! Popcorn cones are a wonderful treat that everyone is sure to love. 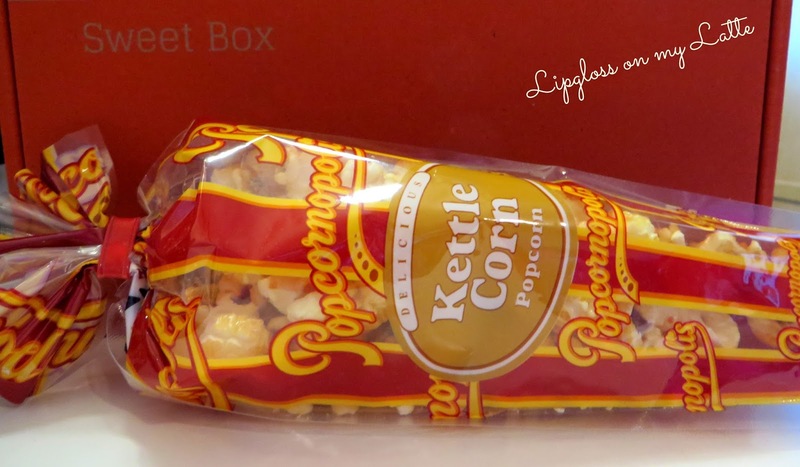 I have tried every flavor of this brand of popcorn and love them all! They taste so good! Lucky for us we have a Popcornopolis in our local mall. 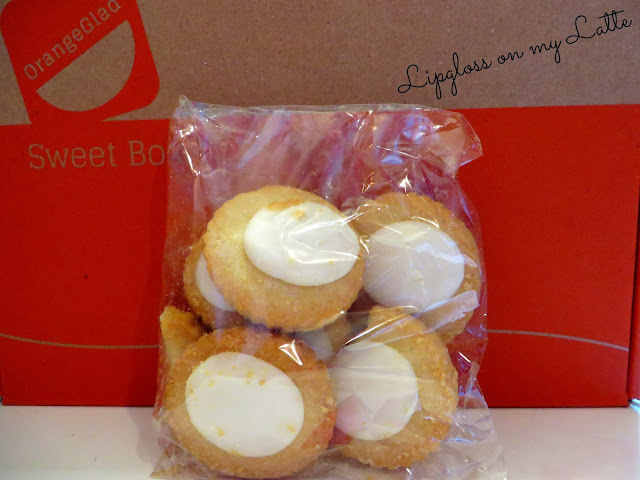 Lemon Frosted Sugar Cookies, "Gianna's Homemade Baked Goods"
These amazingly soft, frosted sugar cookies are bursting with fresh lemon flavor. They may transport you to summer for just a moment, even in the middle of a cold winters day. 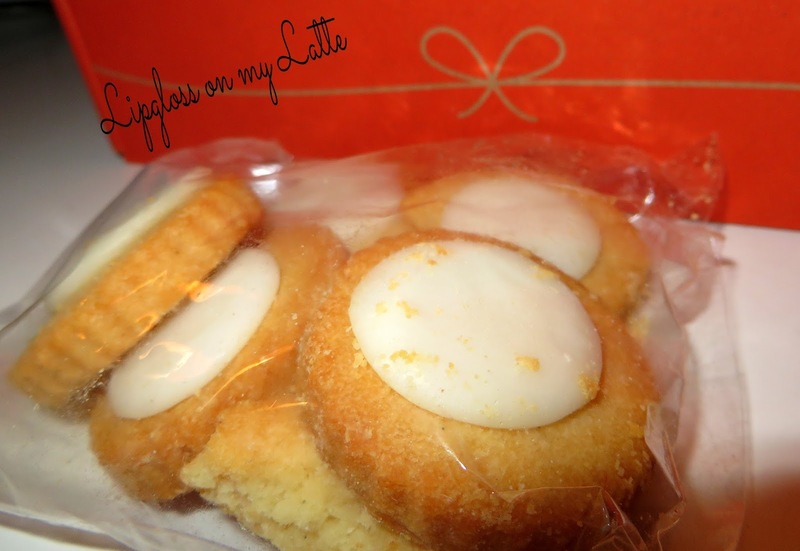 These cookies were simply divine. They are soft, buttery, and had the perfect zing of lemon. My husband fell in love with these since he is a person that loves anything with lemon. We will be purchasing these little yummies in the near future! I was pleasantly surprised to see this item in the box because I don't own one and have been wanting to purchase one. It really helps getting honey from the jar so much easier! 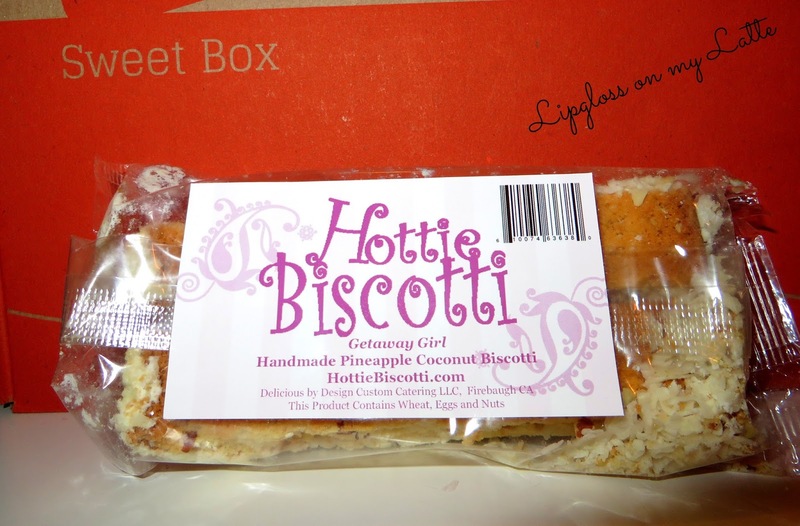 I love this sweet box, and it's well worth the money. If you're like me and you have a sweet tooth like I do, you will absolutely love this box full of yummy goodies!! Trust me, you won't be disappointed! If you’d like to check out Orange Glad for yourself click HERE! And if you decide to give them a try, get 10% off your first order by using offer code LIPGLOSS7 at checkout! 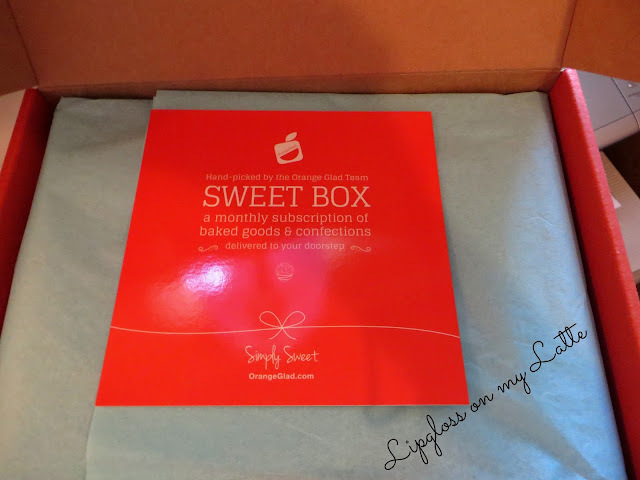 Thanks so much to Orange Glad for sending me this box to review! 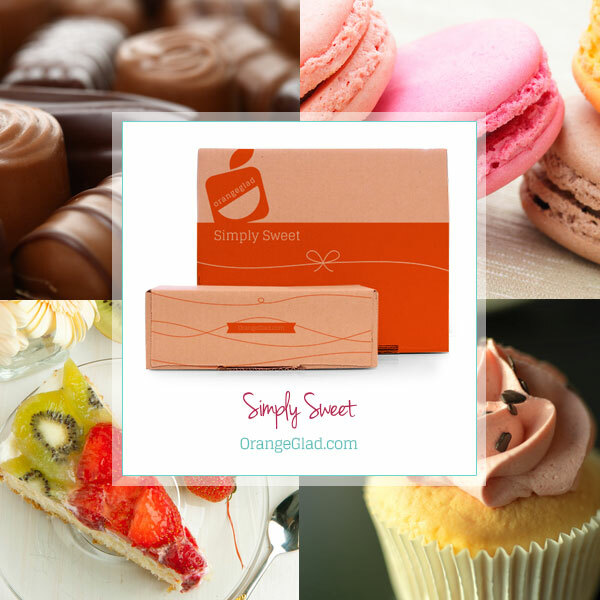 Have you tried Orange Glad Sweet Box? What did you think of all the goodies? *All views in this review are the opinion of the author. Lipgloss on my Latte will accept a box at no cost to provide honest opinions on the box. This post may contain affiliate/referral links. Read the complete Lipgloss on my Latte disclosure. omg! I love this box! I wanna subscribe! It's so yummy, and you will love this box! Justin case the code does not work when you go to use it let me know and I will make sure it gets activated. It should work though. 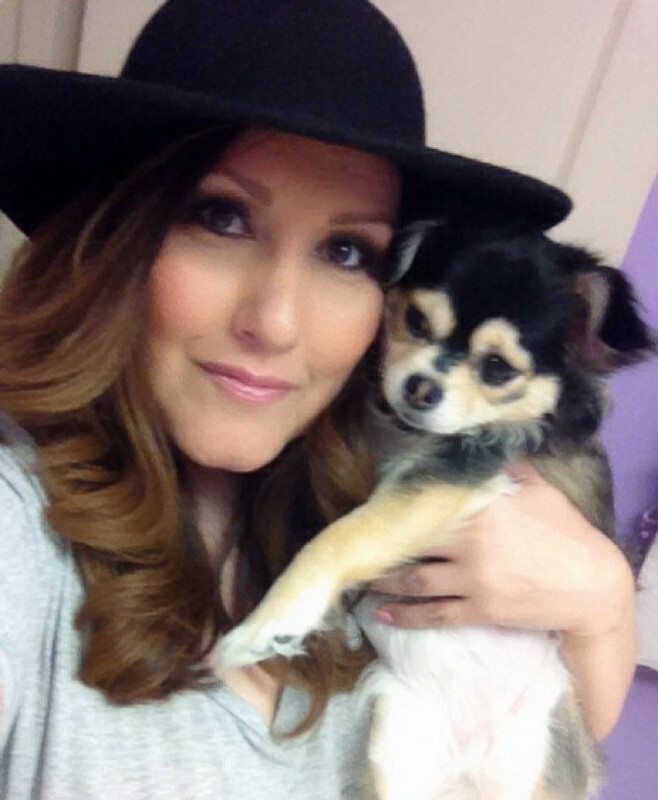 Hi, Gina, never heard of Sweetbox in Italy. But everything in it looks like delicious!! !